Working for centers of business and commerce. Whether it is your local Apple Store or a true business hub like the NASDAQ Entrepreneurial Center, commercial office properties depend on reliable HVAC to keep their customers and employees comfortable. Whether it is design and build for an office campus, retrofitting outdated to controls to ensure efficiency and ease of use, or dependable 24/7/365 service and maintenance, BCM has a solution. Bay City Mechanical partners with industry leading suppliers on best practices for training, installation and service; offering our clients access to the latest cutting edge HVAC technology and building automation controls. NASDAQ Entrepreneurial Center - 505 Howard Street - San Francisco, CA: This is a 13,000 square-foot, ultra-modern facility located in San Francisco's South Financial District. Wilson Equity developed the facility which is a professionally managed event space for hosting entrepreneurial events and programs. 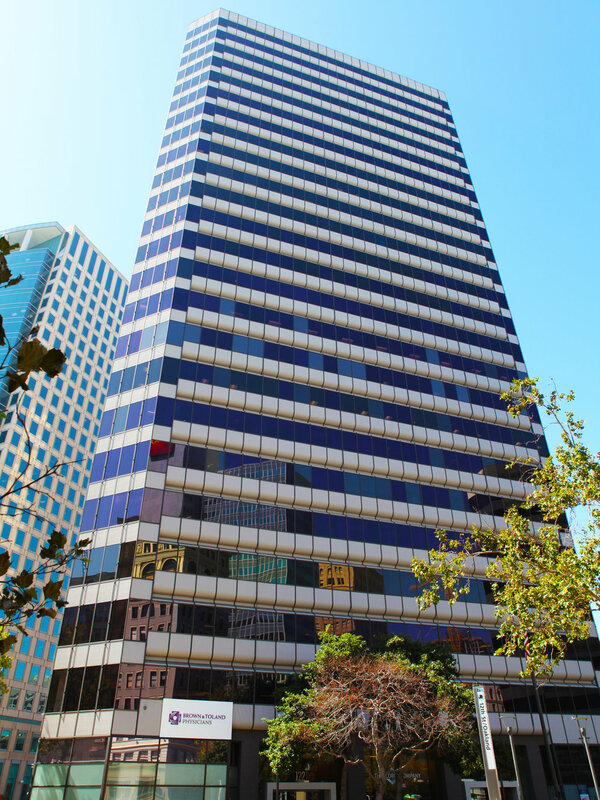 Brown & Toland - 1221 Broadway - Oakland, CA: Previous known as the Clorox building, The Jones Lang LaSalle’ developed space is now home to Brown & Toland. The company now occupies a new 60,000 square foot space that with serve as its headquarters for their 300+ Bay Area employees. Docker - 144 Townsend St. San Francisco, CA: This commercial office space was developed by Broadmoor Partners and architect Design Blitz. The project was built by our partner Dome Construction and is home to the innovative technology company Docker.